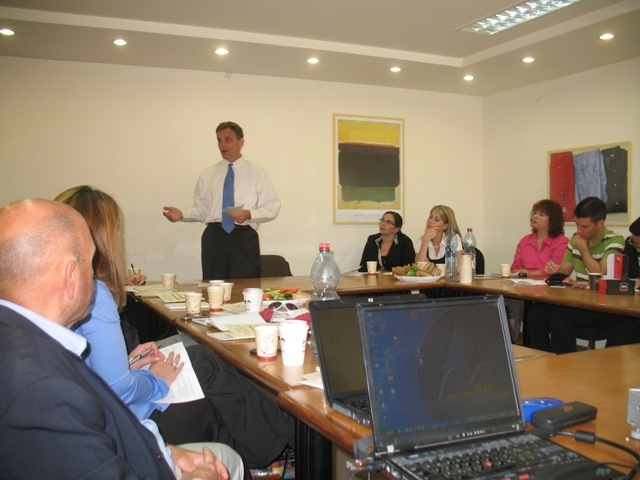 Mr. Joe Morabito (and wife Pat), President & CEO of Paragon Global Resources have visited Israel the week of April 11th. Paragon Relocation is a full-service relocation management company that has been providing both domestic and international relocation services since 1987. The company is not owned by any related companies and is free to offer the best relocation options and recommendations to its clients. Mr. Morabito has more than 30 years of relocation industry experience. As a pioneer and innovator in the field, Mr. Morabito has worked with clients throughout the United States, Europe and Asia, touching virtually every industry with delivery of management consulting services. Mr. Morabito has been published in HR industry publications including Human Resource Executive and Mobility. He has been featured as a speaker at a variety of conferences and was written about in The Wall Street Journal. Morabito holds a Bachelor of Arts degree in history and political science with a minor in foreign languages; a Master of Arts degree in education, with emphasis in personnel administration; and teaching and education administration credentials, all from California State University. He holds the Senior Certified Relocation Professional (SCRP) designation and is a Worldwide ERC® Distinguished Service award winner. 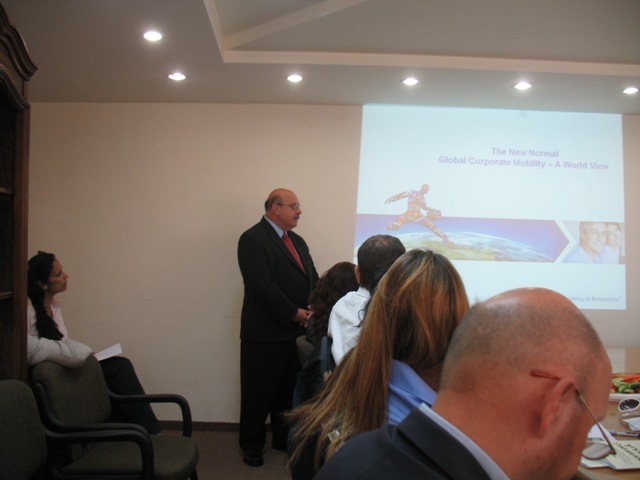 While in Israel, Mr. Morabito has given, together with Corporate Resources Group (Israel) Ltd., a breakfast seminar at the Israel-America Chamber of Commerce in Tel Aviv. A few leading Israeli organizations like Bank Leumi and Africa-Israel Concern, as well as other small organizations, took part in the seminar. The seminar was opened by Mrs. Tamar Guy, Executive Director of the Israel-America Chamber. 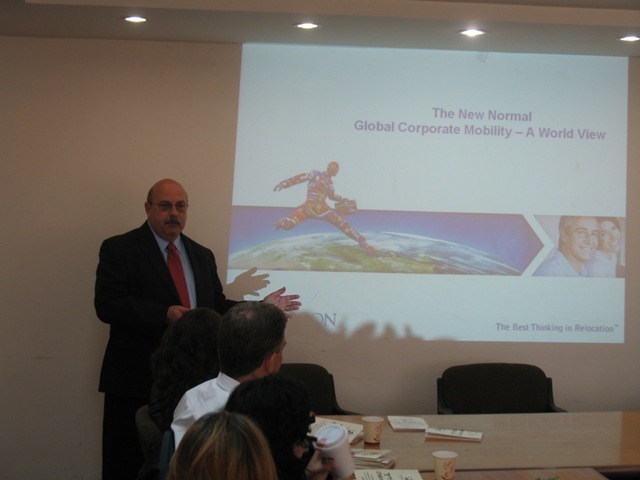 Mr. Morabito's presentation, "The New Normal Global Corporate Mobility - A World View" dealt with the current world view when we are slowly going out of the global crisis. Liam Schwartz, Esq., one of Israel's leading immigration lawyers (mainly US immigration Law) and who is practicing in Israel more than 15 years, addressed the participants with some tips and advices on the current US immigration laws and regulations. Doron Neev, General Manager of Corporate Resources Group (Israel) Ltd. spoke on "Relocation, Immigration & What Goes in Between While Being Relocated"
Focusing mainly on the compensation and benefits parts, explaining the Balance Sheet Approach and bringing to the participants some recent data on global trends found in ORC Worldwide (1) of New York recent surveys. 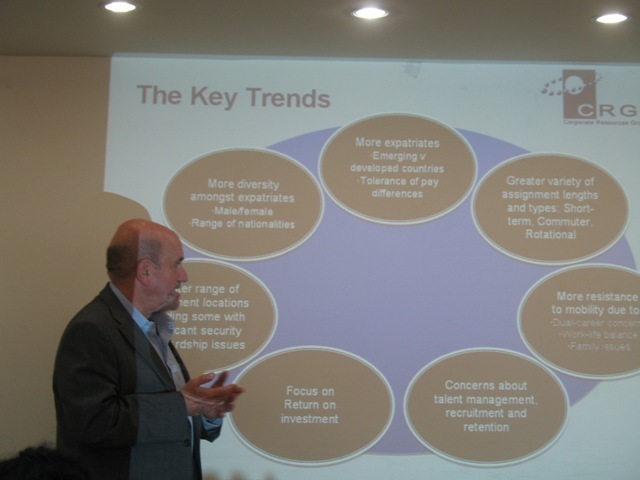 He also spoke on the urgent need to develop and use more the intercultural training in Israel, citing data of the "Dean Foster Associates" (1) of New York. (1) Corporate Resources Group (Israel) Ltd. represents these two companies in Israel.